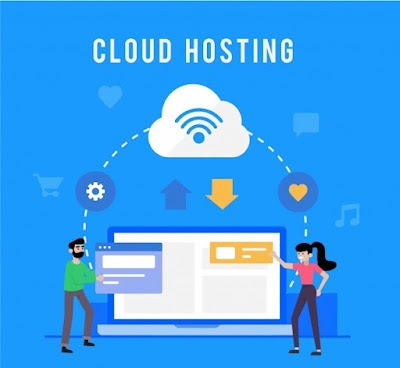 The concept of Cloud Hosting was established in the year 1996 and was brought into existence in the year 2006 by Amazon. The technology experts predicted that Cloud Hosting would revolutionize all the industries starting from huge gaming industries to small enterprises. Also, the statistics say that it will bring the digital cities into life thus ensuring the availability of digital infrastructures like smart elevators, automated parking lots, driverless vehicles and AI managed farms and power plants. The internet survey says, by 2020 most of the enterprises and people will recognize the importance of Cloud Hosting and will start effectively using it for accessing the information and applications online. It was poised to bring in the significant transformation in the IT sector by enabling online sharing of computer system resources and high-level services over the internet. The cloud capabilities have improved storing, managing and processing of data over the internet. A survey predicted that more than 50% of the global enterprises would rely on the clouds by 2020 to contribute their share in the digital transformation of the industries. Also, 6 billion of the world population will enjoy the luxury of digital cities and will live by 2045. There is an enormous possibility of Cloud Hosting dominating the market in the next decade. Also, SaaS (Software as a Service) will lead to progressive transformations in the era of Cloud Hosting also, sharing half of its market revenue. Social networking sites are the best examples of SaaS as a Cloud Service used today. Facebook is one of the popular Cloud application where more than 500 million people share and store their data. In 2006 Facebook made a drastic shift from heavy load servers to distributed cloud architecture due to its improved capabilities. Similarly, blogging services like Twitter and WordPress have also started taking advantage of Cloud Computing. Small mid-sized businesses have even started shifting to Cloud usage thus, joining hands with the digital era. The birth of the internet in the year 1990, took the industry by storm and lead to the dawn of a new era. Cloud Hosting revolutionized internet technology with hardware virtualization and Service-oriented architecture. Since 1994, the increased capabilities of Clouds have encouraged the small and large scale companies to end spending on the storage of internal digital data. Over the last 20 years, Cloud has become the vital and significant component of the Internet Infrastructure. The data transfer over the internet has become an easy and quick task with Cloud architecture. Every Single person on this earth who uses the internet is taking advantage of the cloud. The next decade will find Cloud computing becoming an integral part of every business entity thus ensuring custom infrastructure with complete data security to flourish in the market. Cloud facility is enjoyed even by the desk workers who make use of the internet on their computers. Cloud hosting has given wings to Artificial Intelligence by enabling them to adapt to the upcoming platforms including smartphones. The industries claim that cloud technology will play a vital role in their AI projects. Flexibility is one of the major reason behind the success of Ai enabled Cloud Computing. The fusion of Artificial Intelligence and Cloud has transformed the world of Information Technology positively and hence, is believed to be the future of the corporate world. A survey says, both Artificial Intelligence and Cloud Hosting together will be the core pillars for digital innovation. Enterprises using a fusion of AI with Cloud are capable of driving the digital innovations using the resources they possess. Cloud environments store vast volumes of data, and AI feeds on it. More and more access to data enables the AI to behave smarter than humans. Cloud Computing has proved to be a boon to the IT industry. The reason for the significant shift of IT sector from hardware services to Cloud services is virtualized It systems to access the software applications on the internet. Now a day, most of the software applications are moved to on Public or Private clouds instead of storing it on the hardware thus, reducing the cost. Since managing data is one of the most significant aspects of IT industry they have started moving towards the cloud technology as it minimizes the efforts required to handle and process the data as it becomes the vendor’s responsibility. The shift of IT industries shows that they believe to focus on the areas they are best at instead of just spending on the IT processes. Initially, movies and songs had to be consumed at theatres. Later, movies could be downloaded once; the user pays for it. But, Cloud technology changed the media industry in such a way that the movies, songs or web series can be consumed online. Netflix, Amazon, Gaana.com, etc. are the best examples of online streaming applications leveraging cloud technology effectively. These applications enable offline availability of data which means, videos and songs can be viewed even without the internet connectivity. The songs and videos can be consumed from anywhere and at any time wit in the application. In other words, once the user logins to his account he can consume the data from any corner of the world. This positive transformation has led the media Industry to contribute to the digital era. Cloud Hosting offers immense benefits to this digitally connected world. The coming year will mark the era of digital innovations with Cloud hosting being its successor. In 2019, Cloud Computing will be able to establish itself as the foundation of tomorrows digital city. It will be the key pillar for the digital evolution of the technology environment.